Uglyworld #1017 - Angry Birdies (Project BIG - Image 75-365), originally uploaded by www.bazpics.com. 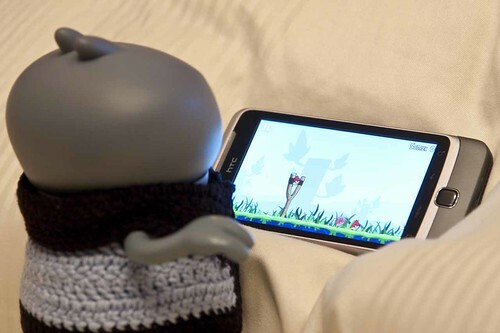 I finallies finders the new phones from Baz, and I must admitters, I is addicteds to this mentals Angry Birdies game, I just can't stops playings it, it's simplies awesomes!! !